Auto since its the wife's. I really regret not wheeling it more. Was a little mountain goat, really needed a set of mud tires but the cheapo junkyard all seasons did good until the muck. Well, found myself a project. '78 Jeep Cherokee I have affectionately named "Pigpen." Got it for a decent price from an old SJ (they can get stupid at times), but there is a little more work to it than I was anticipating. Had myself quite the "Roadkill" adventure to get it the 30-40 miles to Statesville lol. Really want to start wrenching on her but the 12-15 hour days at the shop have been hard lol. Can we finally fix the thread title so that GEICO is spelled correctly? Jeff Fuller: The first Viagra driver. The fullest Viagra driver. Just got a 2017 Fusion plug in electric. Very happy with it so far, definitely love the color. You can charge at any standard public station. It has the same standard plug as most of the major automakers. I only live about 7 miles from work so I make it round trip on pure electric no problem and charge it at night. First of all, now that I'm able to view this thread again, congrats on the Fusion, and congrats on the Mazda! Say hi to my new wheels, a 2000 Ninja ZX6R. 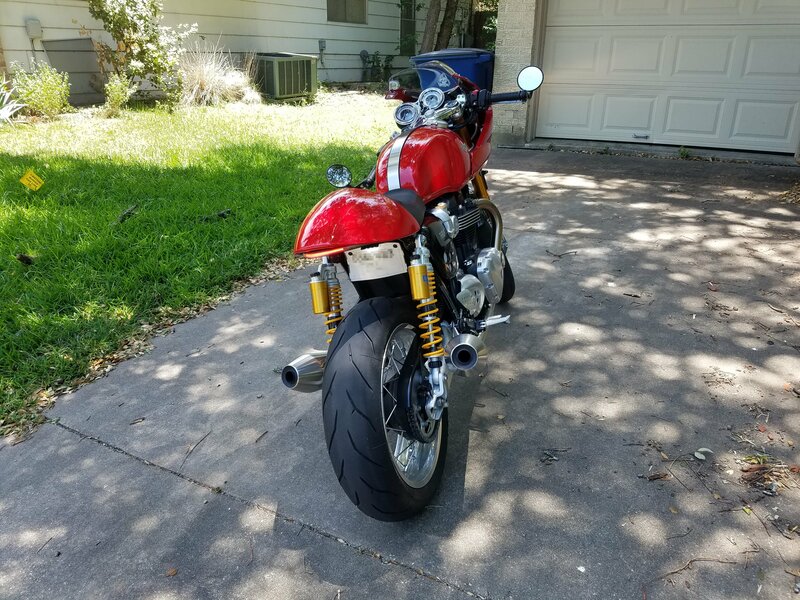 50k mi on the bike but 20k mi on the engine. Picked it up for relatively cheap, has a few marks on it and will need a little bit of love. Overall a blast to ride, implying I actually know how to use a wet clutch. 600cc is terrifying and that might be better than something that I feel I can push to its limit. Of course it snowed the day after I bought this. Bought a summer toy. Brand new 2016 Yamaha XT250 dual sport. Wanted something to take camping, play in the dirt with friends, with the potential for some city cruising (need that license though). 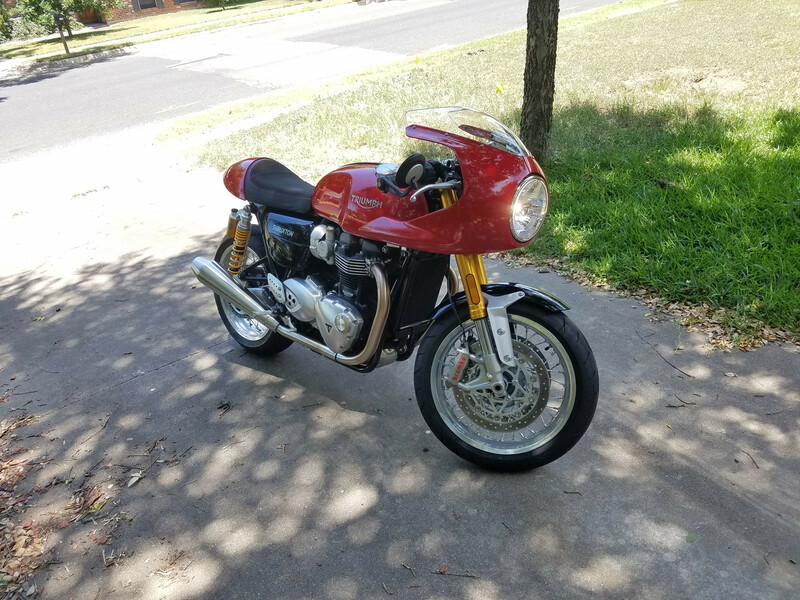 Added a new motorcyle to the collection, a 2016 Triumph Thruxton R. She's named Vivian.